Those of us who are parents know that while raising children, although we most often shower them with love, there are times when we bring out the spanker! This is not because we hate our children but because we want to raise them up as strong people. Even so, when we want to raise strong people in the church, we need to teach them on what they are supposed to do in the house of God. Unfortunately, there is not much teaching on this subject and everyone tends to do what they think is right. People in the church do whatever is on their minds and end up pulling the church in different directions and thus the church goes nowhere! If each one does what he or she thinks is right, we will have a house full of chaos and confusion. But God is not the author of confusion. 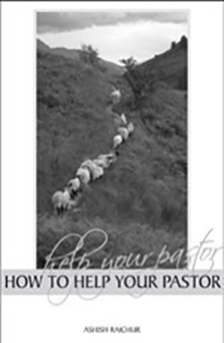 With the desire to build a strong church by raising strong people in it, I am sharing the message— “How to Help Your Pastor” through this book, believing that you will understand the motivation of my heart in doing so.